Showing results for tags '5.1'. Hi I've searched far and wide for an answer to this, but haven't had any luck yet... Is there a receiver on the market which lets me play music through more than only two channels? I don't want to play it in surround, because music through surround mode gives zero sound. I want the sound that normally comes through the two front channels to come through my entire 5.1 setup. In regards to this, im not interested in downloading software that enables music services such as spotify to play with 5.1 or adding amps to my system. Im asking if there is a "all-in-one" solution, such as a receiver, that lets me play music through more than two channels? Thinking about using a passive sound bar, Klipsch 440D, as the L/C/R for a 5.1 surround system in new house. 14x14x9 listening room with MLP about 9 ft from L/C/R. Bipolar surrounds. Hsu sub and Yamaha Aventage avr. Movies/TV about 80%. It seems that the tradeoff is L/R spacing and smaller drivers but benefiting from a relatively clean, neat front. The 20% music is mostly soft rock. I'm thinking that the 30 day return oprion gives me a chance to try it and if not happy then replace the bar with a proper L/C/R. Am I way off base with this approach ? 5.1 sound system - RP250, RP280 or RP160? Hi, After thirty years of waiting I'm finally getting a man cave and the only problem left is choosing a good sound system! The room is pretty small only 11ft across. Is the room too small for the larger packages RP280 or RP250? I've read that the speakers might be too large to produce good sound in smaller rooms, but I do want the richer and deeper sound which I guess the larger speakers are better at? Please help a novice, can I go with the larger speakers or is the rp160 a better choice? Can anyone here help me find some information on the Klipsch Promedia Ultra 5.1 computer speakers/sub? I am curious what room capacity is it able to fill with sound if I was to consider using this set for a small reception style gathering. I have the dimensions (including height) of the rooms that are in question but does anyone know off hand the area (or better yet volume) of room (assume rectangular shape) that this speaker set can fill? Thanks! Do some movies sound better on DVD than Blu Ray? Theoretically movies *should* sound better on Blu Ray than on DVD, but have you ever found the reverse to be true? We watched the "Lord of the Rings" trilogy over the weekend to test out the Heresy HIP mains + center channel. So many scenes now pack a wallop it's unbelievable. That said, the voice tracks, organic sound effects and even some of the LFE's seem to sound more natural with more fullness, on DVD than on Blu Ray. Is it possible that Blu Ray tracks are more compressed? FWIW, our setup is: Yamaha RX-A3000 (HDMI) Oppo BDP-93 (HDMI) Panasonic VT-50 plasma (HDMI) Klipsch Heresy HIP 1 (left, right & center) KG 3.5 (rear surrounds) Hsu Research VTF-3 Mk IV sub Just curious if anyone else has noticed this. Thanks! I am the only owner of this system, having purchased it directly from Bose. The system is in near perfect shape and includes: > Bose Acoustimass 6 Series II Subwoofer and 5 single cube speakers ($200) > Bose VCS10 Center Channel ($100) > Bose OEM UFS20 Speaker Stands (2 pair, 4 stands total) ($100) > Manual I took great care of this system and it's ready to go for the next owner. The only flaw in the entire system is that when taking out the speaker wires from the stands, 2 of them had the cover tear a bit. The simple solution here is just to cut off the first few feet of the wires on those 2. The system comes with 50 feet of wire (25 to the sub, 25 to the system) so cutting off a couple feet will make no difference. The cubes are spring loaded, a couple of them are tight fits, but work just fine. They have always been that way, nothing has changed. They sound exactly like they should, no cosmetic flaws and no damage to any of the system. Asking $400 for the complete system. Am not planning to part it out but have shown the breakdown of the costs so that you can understand where the number comes from. With the 5 cubes and center, you can create a 6.1 system if you like, or use as a 5.1 with a spare cube. I plan to put this out on EBay within the next day or two but wanted to offer to forum members first as I have had great experiences working with members in the past. Once on Ebay it will have a bid option so once a bid is placed, I won't be able to sell it here anymore. Please PM me, I am very responsive. I am located in the city of Chicago, and will be happy to ship or sell locally. Is it possible to run a 5.1 setup with the use of "high surrounds"
Is it possible to run a 5.1 setup with the surround sound speakers being set / placed / used as the "high surround speakers". I was playing with my AVR last night and could get the receiver to recognize and play test tones through the speakers set as high surrounds but only that was only an option after selecting I did in fact also have typical surrounds. The receiver would only play the test tones through the setup as I intended it to be and not try to search for / find the typical surrounds but after completing the Audssey calibration however it wouldn’t recognize the speakers at all. This was while trying to run the corrected Audssey calibration and dynamic eq; which is how I preferred to run the system. I did not however try or recall the system recognizing the system as I intend in the manual set up. I played around with the audio formatting (DTS, DTS-HD and so on) and never could get the receiver to recognize the speakers / sound to come out. I tried this on HD cable shows, Blu-ray movies in both 5.1 and 7.1 through my PS3 and PS4, and even tried it through internet radio. Is this just not a typical 5.1 setup? Is it an audio formatting issue with trying to do a 5.1 with high surrounds? Is the use of “high surrounds” only limited to a true 7.X and higher speaker setups? Of note, I prefer to run the setup in this manner because I am renting so therefore prefer not to rip up carpet, I live in a two story house and the living room in on the first floor so I think going over head is also out of the question. Also the way the living room is set up it would be a nightmare to try and run along or behind the base boards; but I guess that is my only option if I can’t run this set up as I prefer. Any suggestions or ideas would be greatly appreciated! Hello all, So I've had my set up for a few weeks now and have throughly enjoyed it; however I have noticed at higher volumes the smaller speakers just can't keep up to the sub. If I turn the sub way down its still like the smaller speakers just aren't getting very loud. I shot Klipsch support line an email and apparently my receiver isn't producing enough power and could actually damage the speakers. Bellow is my current set up. According to Klipsch I need at least 150 watts to run the F-30 floor speakers to their potential? Klipsch F-30 floor speakers FREQUENCY RESPONSE: 35Hz-23KHz ± 3dB SENSITIVITY: 97.5dB @ 2.83V / 1m POWER HANDLING: 150W RMS / 600W Peak C-10 premium center FREQUENCY RESPONSE: 100Hz-23KHz ± 3dB SENSITIVITY: 93.5dB @ 2.83V / 1m POWER HANDLING: 50W RMS / 200W Peak S-10 premium WDST surround sound (pair) FREQUENCY RESPONSE: 95Hz-23KHz ± 3dB SENSITIVITY: 89dB @ 2.83V / 1m POWER HANDLING: 50W RMS / 200W Peak BIC America F-12 sub Frequency Response: 25Hz - 200Hz Sensitivity: 90dB Recommended Power: Built-in Amplifier Power: 475 watts Dynamic Peak, 150 watts RMS continuous Impedance: 8 ohms Sony SRT-DH520 receiver AUDIO POWER SPECIFICATIONS POWER OUTPUT AND TOTAL HARMONIC DISTORTION: (USA model only) With 8 ohm loads, both channels driven, from 20 – 20,000 Hz; rated 90 watts per channel minimum RMS power, with no more than 0.09% total harmonic distortion from 250 milliwatts to rated output. Just curious if anyone would / could suggest a receiver in the $300 price range with the proper wattage to run this set up? 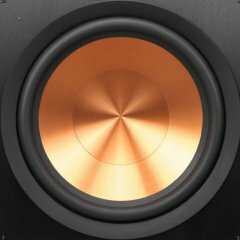 Will Klipsch ever make a good set of 5.1/7.1 PC speakers again? Have 5.1 pro media ultra dead. Yes I know out of warranty.